Another terrific example of a way to get in a good, quick workout without having to go to your local gym or invest in expensive workout equipment for your home is the stability ball. Stability balls are relatively inexpensive, simple to inflate and deflate and can be used anywhere ― even at the office. These are like to bodyweight exercises and can deliver a similar workout. 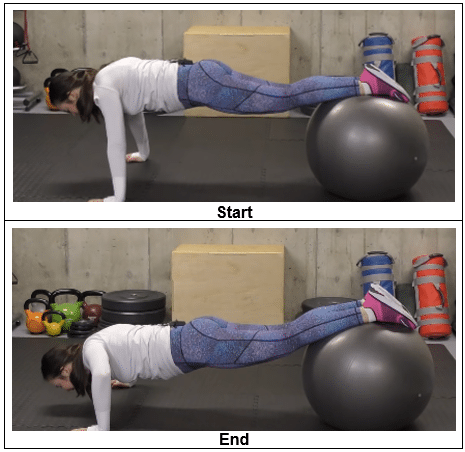 If you already have a workout regimen that you do at home or the gym, you can also use these stability ball exercises as a great way to warm up before or cool down after your workout. Begin in an upright standing with your legs shoulder-width apart and your toes slightly pointed outward. Hold the stability ball in both hands, with your arms extended at chest-height. Bend your knees and hinge through your hips to move into a deep squat. Raise up and extend both arms overhead. Return to the starting position and repeat the movement. Start with one set of 5 repetitions. Perform this exercise in a smooth, controlled movement. The intensity is light. For this exercise, you can either do this from your knees, from your toes or with your feet on the stability ball. Begin in a straight-arm plank position with both feet on top of the stability ball, maintaining proper alignment with your head, shoulders, hips and toes. Tighten your core, bend your arms to lower your upper body towards the floor, and then straighten your arms to complete a push-up. Repeat the movement. Lie on your back on the floor, squeezing the stability ball between your feet and maintaining proper alignment with your head shoulders, hips and legs. Place your hands either at your sides or behind your back. Contract your core and lift your legs up toward the ceiling, squeezing the ball tight. Return to the starting position and repeat the movement. Lie on your back on the floor, relaxing your upper body. Place your feet on the stability ball with your hands at your sides. Push your feet into the ball to lift your hips up, maintaining proper alignment with your shoulders, hips and knees. Lower your hips back down to return to the starting position and repeat the movement. If you want to increase the intensity level of the workout, there are a couple of things that you can do. First, you can repeat the entire cycle of exercises again, making sure to take a brief rest between each one. The other thing that you can do to intensify this stability ball workout is to increase the number of repetitions in the set. Instead of doing five repetitions, start by doing six or seven of them ― eventually working your way up to 10 reps. 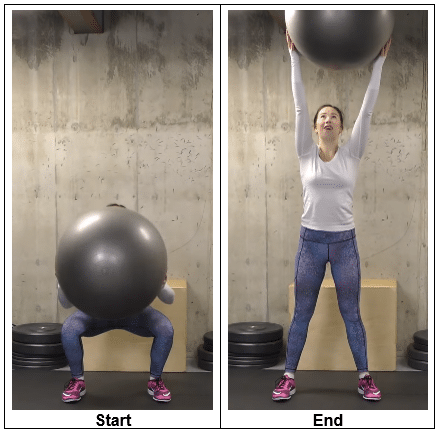 If you are looking for exercises that will help you get stronger, improve your balance, lose weight, have more energy throughout the day, and improve your overall health, then check out the Strong & Stable Stability Ball Workout Program.